This guy I met on my trip to Cuba in 2008. 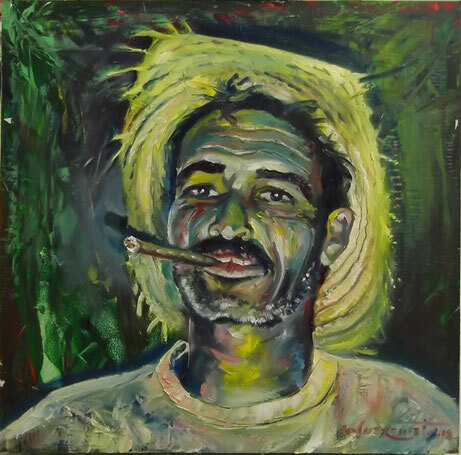 He was a tobacco farmer in the Viñales Valley in the Western Cuba. He showed me the area riding on some haggard horses and told me some deplorable stories from Cuban farmer's life. He never left the self rolled cigar off his mouth, and each time one was burnt the next big tobacco leaf has been stuffed and rolled.